MEMPHIS, Tenn. (WREG) -- On Friday just before midnight Megan Wilson says she was trying to get rid of some coupons before they expired, when she got far more than she bargained for. "He grabbed my bun pulled me back and smashed me into my cart. When I came to I was on the ground and my leg was under the cart," said Wilson. "He started shouting 'Come on, there's other people out here. Nobody has time for this,'" added Wilson. She said he got upset that she was holding up the line. She told WREG she went back and forth with the man before things got physical. She posted a video on Facebook detailing the alleged attack. 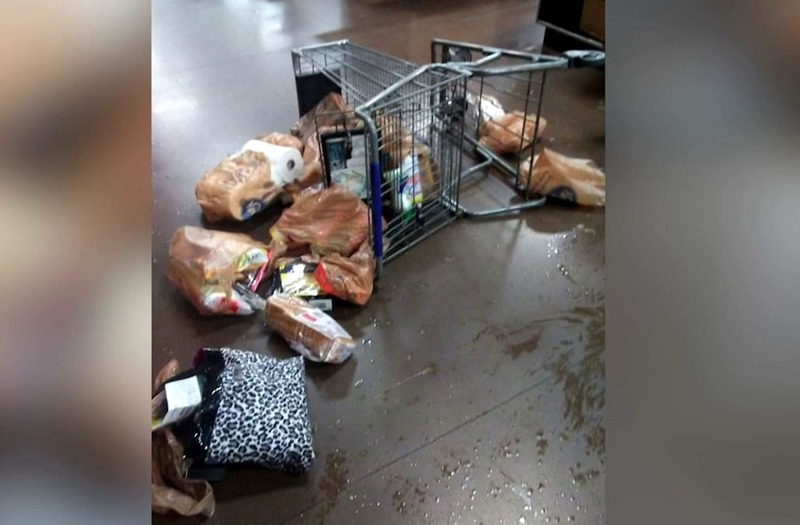 She claimed her shopping cart was knocked over during the violent check out melt down. Wilson said the man took off out the door leaving his items behind. WREG reached out to Kroger. In a statement they said they are saddened by the incident. Kroger said it will work with police to resolve the situation between the two customers. Wilson believes all of it could have been avoided. "15-20 minutes of harassment before the attack. It could have been prevented," said Wilson.